The field of apologetics deals with the hard questions posed to the Christian faith. Each of us has a worldview, whether we recognize it or not. A worldview basically offers answers to four necessary questions: origin, meaning, morality and destiny. Christian apologetics is the discipline of answering people’s specific questions and making the truth claims clear. We aim to engage people in meaningful interactions with gentleness and respect, bearing in mind that behind every question is a questioner. Because Islam is so much in the sights of the world right now, an articulate and attractive personality like Nabeel was often given a fair hearing. He was also a medical doctor and well studied in theology and philosophy, academic credentials that earned him respect. He was well versed in the faith in which he was raised. His grandparents were Muslim missionaries in Indonesia. His conversion to Christianity took place after he seriously examined the historicity of the gospels and the unique claims of Jesus. The conversion was very hard on his family and probably the greatest heartache he carried because he loved them. Yes, his conversion stirred many questions, but his gracious and clear responses touched many in the Islamic world. 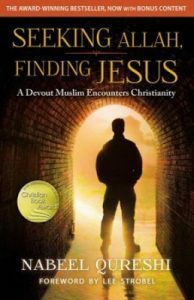 He met numerous people who had read his book and made their own journeys to faith in Jesus. It also hurt him deeply when Muslims were painted with a violent brush, something he believed was false and wrong-headed. He was not just an evangelical; he was passionately evangelistic. He desired to cover the globe with that good news: that God’s forgiveness was available to all. When he spoke, he held audiences captive. I lead a ministry called RZIM, which began in 1984 and has a full-time team of more than 70 speakers from numerous cultural backgrounds in 15 countries and on every continent. We speak to artists, academics, business and political leaders, addressing the questions of origin, meaning, morality and destiny. Our goal is to present the answers of Jesus in cogent and intellectually persuasive ways to bridge the head to the heart. I invited Qureshi to join our team four and a half years ago. He reached tens of thousands in live audiences, but his books reached even more people. He was a powerful speaker and debater. I tear up as I think of the meal we had a little over a year ago. Nabeel was a man with a daunting appetite. I used to joke in his presence, “Don’t get behind him in a buffet line; there will be nothing left.” He would chuckle. He could make a big meal look like an appetizer. So I noticed that he was just nibbling away at his food. I asked how long that had been going on, and he said it had been a few weeks. I urged him to have it checked out. He said he was planning on it. The rest is history. A doctor diagnosed stomach cancer — probably stage 4. We were all stunned. Within a few months, the writing was on the wall. In May, he asked me to do one more trip. We went to Malaysia. Even though his body was weak, his passion was undiminished. His answers to people’s questions about God and Jesus were profound and persuasive. 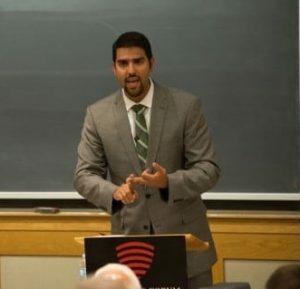 It’s hard to believe that Nabeel Qureshi has left us all too soon. I am reminded that he died the same age as Jesus was when his mission was accomplished. “Eye has not seen, ear has not heard, neither has entered into the heart of man, the things which God has prepared for them that love Him,” so said the apostle Paul. We believe that Nabeel is now in heaven. He told me how painful it was to leave his wife, Michelle, and his young daughter, Ayah. But his pain is now over. I do not mourn for him. I mourn for our broken world, where so much hate and destruction abounds. We have a cancer called sin. The disease that kills the body is minor, but the disease that kills the soul is eternal. Nabeel would want more than anything else that we carry the message of Jesus to help change the world. Only then can we understand that the sad news of Nabeel’s death is temporary. 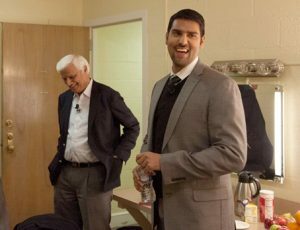 Ravi Zacharias is Founder and President of Ravi Zacharias International Ministries (RZIM). Zacharias has spoken all over the world for 45 years in scores of universities, notably Harvard, Dartmouth, Johns Hopkins, and Cambridge. Zacharias has authored or edited over 25 books including the Gold Medallion winner Can Man Live Without God (Word, 1994), Walking from East to West (Zondervan, 2006), The Grand Weaver (Zondervan, 2007), Has Christianity Failed You? (Zondervan, 2010), Why Jesus, (FaithWords, 2012). (Photo credit Doug Christian)	Contact the author.